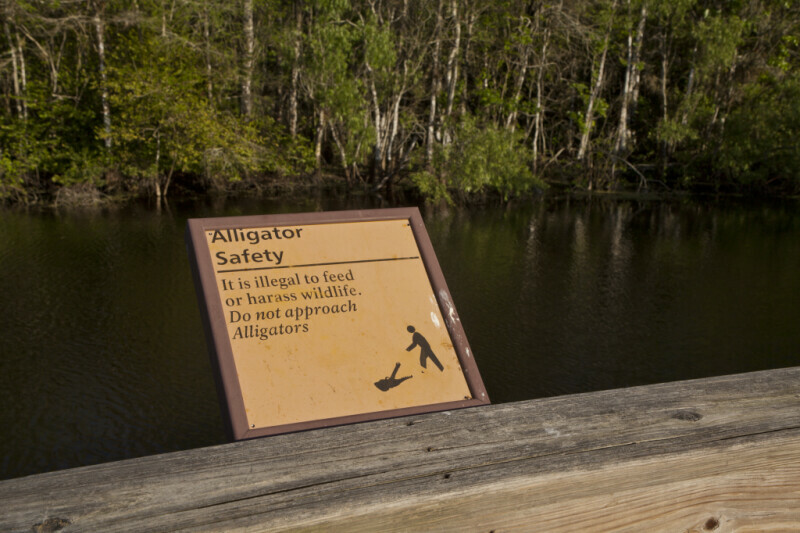 An alligator safety sign at H.P. Williams Roadside Park of Big Cypress National Preserve. The sign reads, "It is illegal to feed or harass wildlife. Do not approach Alligators.